Most countries around the world celebrate New Year on January 1st and the day is a public holiday. But many countries and people also have another day when they celebrate their own new year. For example the Chinese New Year, Losar, the Tibetan, Sherpa, and Tamang new years in Nepal which are celebrated in late January to February depending on the moon; and as I learned today from, there is a Serbian new year that is celebrated a few days after January 1. Then there are special traditions. Fireworks often are lit to see the new year in, just before midnight on the 31st December. There are usually a lot of parties on this night and revellers will stay up until midnight and sing songs like 'For auld lang syng,' originally a poem written by Robert Burns in 1788 and set to the tune of a traditional folk song to bid farewell to the old year at the stroke of midnight. How did you celebrate the New Year? Did you do anything special? What sort of customs do you have for seeing in the new year? 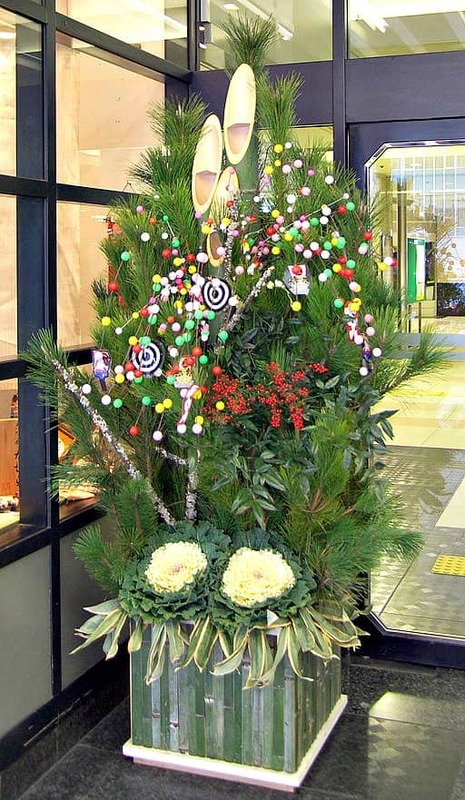 Whilst many countries have a Christmas tree for Christmas, in Japan it is used for New Year. Happy new year! In the UK, most people use it as an excuse to get drunk.. however I just had a quiet night in with my partner, which was nice. I didn't see any loud or drunken behaviour over New Year here in Nice @GemmaRowlands. There was a lot of traffic in the evening however and I hope that there wasn't too much driving late under the influence! In Cape Town over Christmas there were reports of a lot of road accidents caused by drink-driving. It annoys me when people drink and then drive. They're not only putting their own lives at risk, but everyone else's as well. @GemmaRowlands even in Kathmandu the police have cracked down on drink-driving and people seem to be taking it seriously. The police put them in jail for the night, deprive them of their mobile phone (which I think hurts more than anything), fines them and I guess puts a stamp on the driving licence so if they repeat the offence, it will get suspended. That is a good thing to do. I don't think that people should be allowed to carry on driving if they have been caught using a mobile phone, as they clearly aren't responsible. I wish they were confiscating mobile phones from drivers caught using them while driving @GemmaRowlands. They are taking them when they take in drivers who are over the limit. I wish you very merry new 2018 year. And to you too @LARAWIN554. May it be a good one. Yes, I believe they should do that. A lot of people take risks when they're driving that they shouldn't take. It only takes a second for something really bad to happen. There's no excuse as most people have GPS devices with the insistent woman telling them which way to go. They could have the phone set up as hands-free very easily. Lots of people put their hands free kits in the wrong place though, where it still obstructs their vision - which is still illegal! Even chatting on the phone hands-free is distracting @GemmaRowlands. I think it is much safer to not answer or pull off the road to take calls. I meg a couple of friends for the first time this year so we drank a toast to the new year even though it is nearly the end of January. @mheredge I think it's fine considering that, for example, Chinese new year is yet to come. I'm not sure when this is this year @Vok. In Nepal they celebrate several new years around the same time : Chinese, Tibetan, Sherpa and Tamara, all within a few days of eachother. Then in April it's the official Nepali new year. @mheredge If Google is a reliable source, then it's on Friday, the 16th of February. Do they celebrate all these different new year's days in the same manner? True. But I think you could also say that listening to the radio and singing along to music is distracting, too, so it's hard to know where to draw the line. I beg to differ @GemmaRowlands . There's hardly a fine line between chatting on the phone hands-free and listening to the radio. It depends on the radio of course. Sometimes the news or the subject of a programme can be disturbing, but it's less taxing compared to being on a phone and recalling when you're having the next meeting. Singing is not very destructing either (unless you hold a microphone and use a karaoke autocue)), because it's enjoyable and it doesn't involve thinking too much. I think that usually listening to the radio or music is more passive and it is background noise @GemmaRowlands. But as @Vok says, having a conversation, especially if it is something where you have to concentrate a bit on what the other person is saying or what you are saying is much more distracting. And especially if you are not 'handsfree' and have to use one hand to place the phone by your ear instead of on the steering wheel! I suppose you're right. Well, perhaps it will be something that will be addressed in the near future, but I think it will affect a lot of people if it becomes illegal. It's a bit late but I should have wished you Happy Losar a week ago. I'm nibbling a plait of biscuit made from flour that is shared over Losar. This new celebration is celebrated over a few days, not one like we celebrate January 1st. Yesterday our familys' society got together to discuss our new year festival of april hindu-sinhala new year.there will be 15 items in this time and it will be held on 21st of april. I hope to enjoy it with my relatives well.after long time I didn't see my some relatives far away from our town. @sammani when you say there will 'be 15 items in this time' do you mean events or rituals? @mheredge, oh in this case I meant that the games which are done in the sinhala-hindhu new year festival.for example playing rabana (rabana is a kind of drum),placing eye on an elephant, eating buns. I'm not sure items is the best word to use @sammani. Maybe 'activities' would be better. Sinhala and hindhu new year is coming soon.we have three days more.but already we started going to see our relatives for new year.my mom is preparing oil cake,kokis ,aluwa and cake.I also help her.